Do you like Road of Heroes? Share it with your friends. 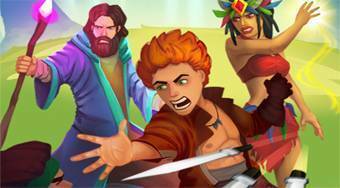 Road of Heroes is a great shooting game in which you are ready for several different levels of difficulty. In each round, move your hero around the playing area, using knife blasting to kill enemy monsters, collect gold coins, and try to kill strong bosses. Get upgrades and buy two upgrades to fight you.